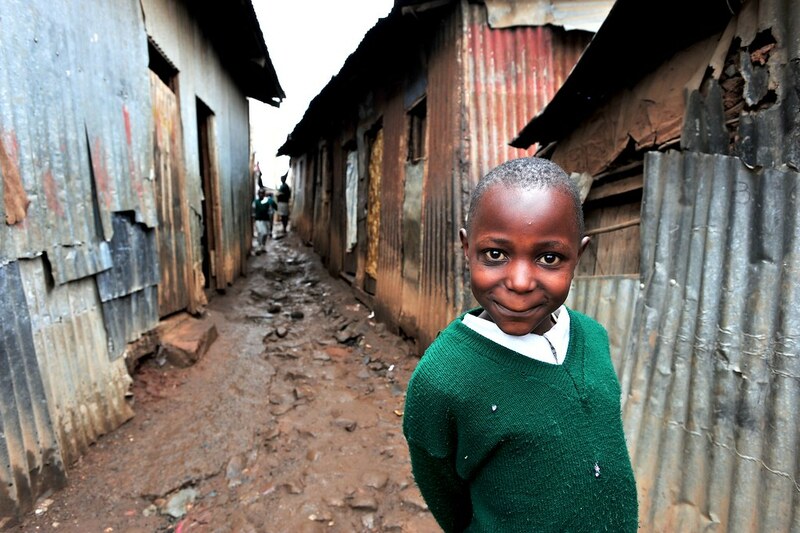 In March 2010, Ryan Detzel, one of the bloggers I follow, went to Kenya on a Compassion International trip. He blogged about the whole experience while he was there, and to say I was moved is an understatement. You can check out his experiences/posts HERE. Picture taken by Ryan Detzel. My eyes were opened up to a whole new world outside my American upper-middle-class bubble. And I was faced with the truth that since I was no longer blind, I had to do something about it. I would just sit and cry while I read his updates. Tears would be streaming down my face, and every once in a while I would have to stop reading until I could see again. I was definitely moved by what I was seeing. The fact that there are precious little boys and girls living in such filth, without any of the things that we think of as necessities–food, shelter, clothes, and education–just blew me away. God had opened my eyes to things I’d never seen. And He’d broken my heart for these children. And as a result, I wanted to sponsor a child more than I’d wanted anything in a long, long time. That night, Michael and I went home, and I showed him Ryan’s blog with all of the different pictures. I’d been talking about the Compassion Blogging Trip for a while, but I don’t think I’d showed him Ryan’s posts yet. We both knew, without a doubt, that we wanted to sponsor a Compassion child. Then Michael said that we should sponsor two–a boy and a girl. Things like this make me love my husband even more, by the way. We prayed that God would show us a little boy and girl to sponsor, and we began looking through all of the different pictures and profiles. We finally decided to sponsor a little boy named Mwaro from Kenya and a little girl named Enjelica from Indonesia. They were both 4 years old when we became their sponsors. This may sound crazy, but sponsoring Mwaro and Enjelica has been one of the biggest joys over the past few years. When we decided to sponsor them, I remember both of us starting to cry. We were just so happy and blessed to know that we were being used to make a difference in these precious kids’ lives. Their pictures are framed in our living room and office, and we pray for them every night. I think my favorite thing, though, is writing letters back and forth. Every time we see a letter from Compassion, we get SO excited. Last year, we were a lot better about writing to our Compassion kids, but this year, we haven’t been as good. On Saturday, we finally sat down and wrote to them. I always write to Enjelica, and Michael writes to Mwaro. 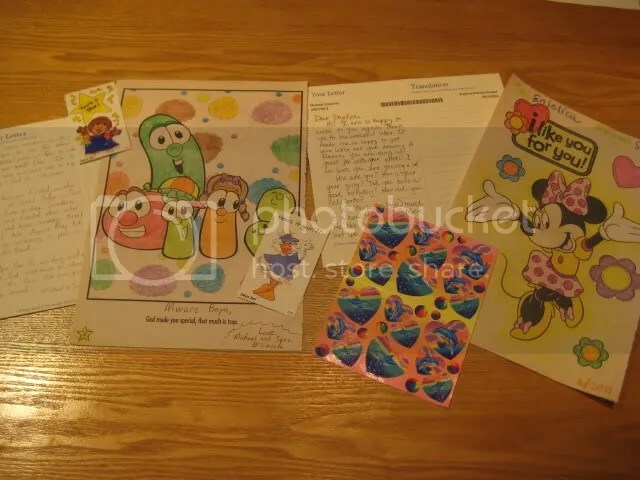 We also colored pictures for them and put some stickers in their envelopes. It has been such a wonderful thing to be a part of, and I thank God for Compassion International. We believe wholeheartedly in their mission and in what they are doing to “release children from poverty in Jesus’ name.” Someday, we hope to be able to visit our Compassion Kids. Until then, we’ll keep on praying for them and sending letters back and forth. Please prayerfully consider sponsoring a child today. You have the opportunity to change a child’s life for the better. We just wanted to let you know that we’ve added a “Make a Difference” page on our blog. 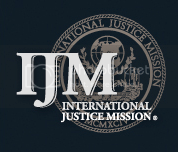 Here, you can find information about some of the charities that we support. We believe that God can use us to truly make a difference in this world through partnering with these organizations. Check them out, and let us know if there are others we should look into!